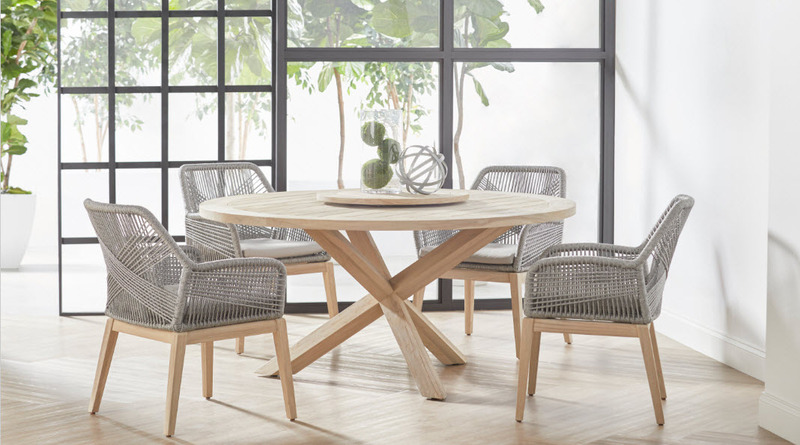 The Bombay Outdoor Round Dining Table is made of solid teak wood with a light gray finish. Lazy Susan sold separately. Free Delivery is curbside. Some assembly required. Brady Rustic Industrial Bookcase 96"